What is the cheapest way to get from Copenhagen Central Station to Store Heddinge? The cheapest way to get from Copenhagen Central Station to Store Heddinge is to drive which costs 60 kr - 90 kr and takes 55m. What is the fastest way to get from Copenhagen Central Station to Store Heddinge? The quickest way to get from Copenhagen Central Station to Store Heddinge is to taxi which costs 1000 kr - 1300 kr and takes 55m. Is there a direct train between Copenhagen Central Station and Store Heddinge? No, there is no direct train from Copenhagen Central Station to Store Heddinge. However, there are services departing from København H and arriving at St. Heddinge St. via Køge St.. The journey, including transfers, takes approximately 1h 29m. How far is it from Copenhagen Central Station to Store Heddinge? The distance between Copenhagen Central Station and Store Heddinge is 42 km. The road distance is 65 km. How do I travel from Copenhagen Central Station to Store Heddinge without a car? The best way to get from Copenhagen Central Station to Store Heddinge without a car is to train which takes 1h 29m and costs . How long does it take to get from Copenhagen Central Station to Store Heddinge? It takes approximately 1h 29m to get from Copenhagen Central Station to Store Heddinge, including transfers. Where do I catch the Copenhagen Central Station to Store Heddinge train from? Copenhagen Central Station to Store Heddinge train services, operated by Danish Railways (DSB), depart from København H station. Where does the Copenhagen Central Station to Store Heddinge train arrive? 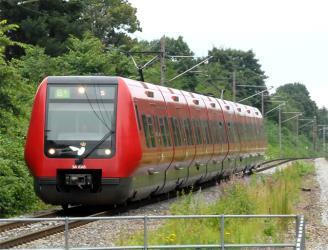 Copenhagen Central Station to Store Heddinge train services, operated by Lokaltog, arrive at St. Heddinge St. station. Can I drive from Copenhagen Central Station to Store Heddinge? Yes, the driving distance between Copenhagen Central Station to Store Heddinge is 65 km. It takes approximately 55m to drive from Copenhagen Central Station to Store Heddinge. Where can I stay near Store Heddinge? There are 83+ hotels available in Store Heddinge. Prices start at 420 kr DKK per night. What companies run services between Copenhagen Central Station, Denmark and Store Heddinge, Denmark? You can take a train from Copenhagen Central Station to Store Heddinge via Køge St. in around 1h 29m. 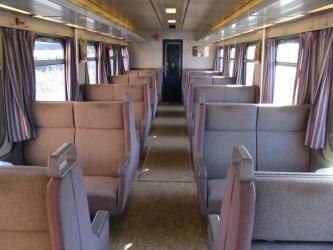 Train from København H to Køge St. 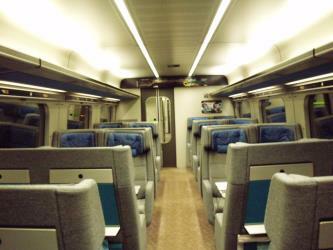 Train from Køge St. to St. Heddinge St. Bus from Køge St.,Østre Banevej to St. Heddinge St. Discover how to get to attractions and hotels near Store Heddinge. Stevns Klint is a white chalk cliff located some 6 km southeast of Store Heddinge on the Danish island of Zealand. Stretching 17 km along the coast, it is of geological importance as one of the best exposed Cretaceous-Tertiary (K/T) boundaries in the world. Subject to frequent erosion, the cliff rises to a height of up to 40 m.
Gjorslev is a cruciform medieval castle located 17 km south-east of Køge, on the Stevns Peninsula, Stevns Municipality, some forty kilometres south of Copenhagen, Denmark. Originally owned by the Bishop of Roskilde, it is considered one of the most well-preserved examples of Gothic secular architecture in Denmark. Vallø Castle (Danish: Vallø Slot) is a manor house located 7 km south of Køge, in Stevns Municipality, on the island of Zealand in Denmark. It now serves as a residence for Vallø stift, a home for unmarried, widowed and divorced women of noble descent. Lille Heddinge Rytterskole is a former rytterskole ("cavalry school") now operated as a school museum in Lille Heddinge, Stevns Municipality, Denmark. It is considered the best preserved of all the surviving schools of its kind and was listed in 1918. Rome2rio makes travelling from Copenhagen Central Station to Store Heddinge easy. Rome2rio is a door-to-door travel information and booking engine, helping you get to and from any location in the world. Find all the transport options for your trip from Copenhagen Central Station to Store Heddinge right here. Rome2rio displays up to date schedules, route maps, journey times and estimated fares from relevant transport operators, ensuring you can make an informed decision about which option will suit you best. Rome2rio also offers online bookings for selected operators, making reservations easy and straightforward.